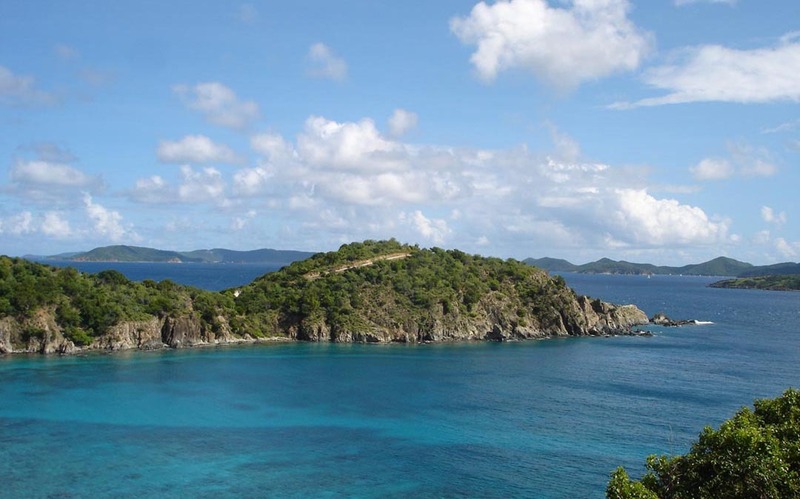 Tropical Properties Real Estate on St. John has been helping clients buy and sell homes, condos, and other property on St. John VI for over 25 years. 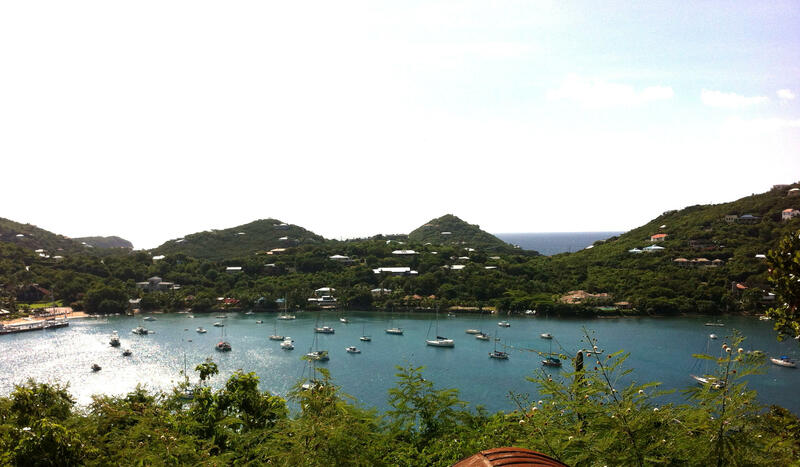 Let us guide you through buying or selling your St. John real estate. More real estate listings are available in map view when browsing additional pages of listings below. 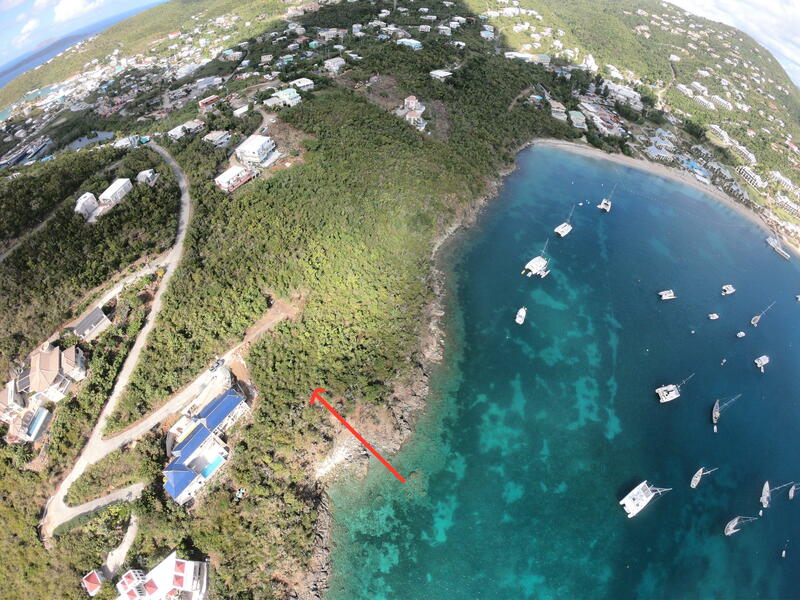 Exceptional Eastern Exposure parcel in prestigious Ditleff Point. 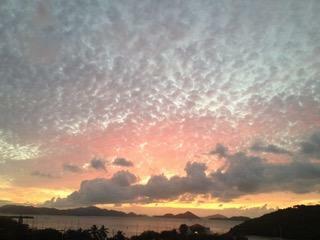 Enjoy sunrise and moonrises over Cocoloba Cay with cooling Eastern breezes. Listen to the dramatic sounds of waves crashing on the rocks. Easy downhill build. 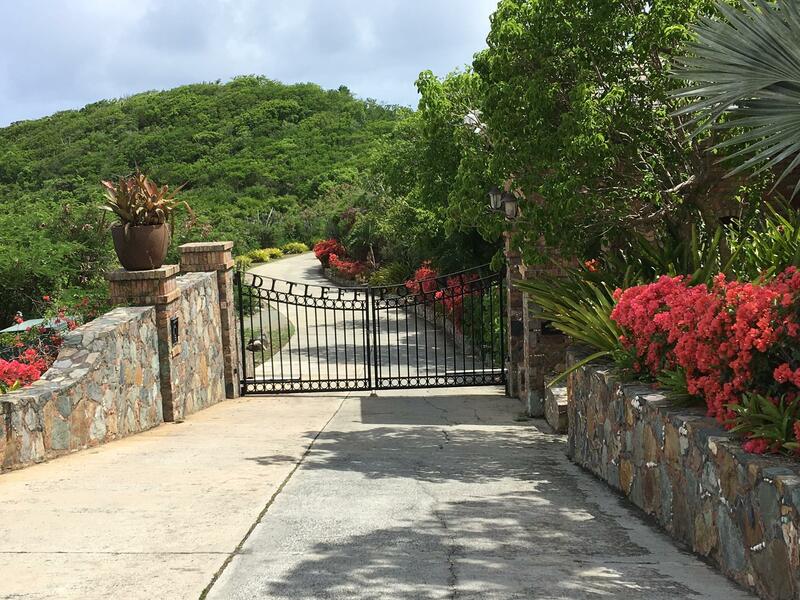 Gated entry, underground utilities, professional landscaping, paved roadway w/stately stone walls and common sandy beach at Ditleff Point. 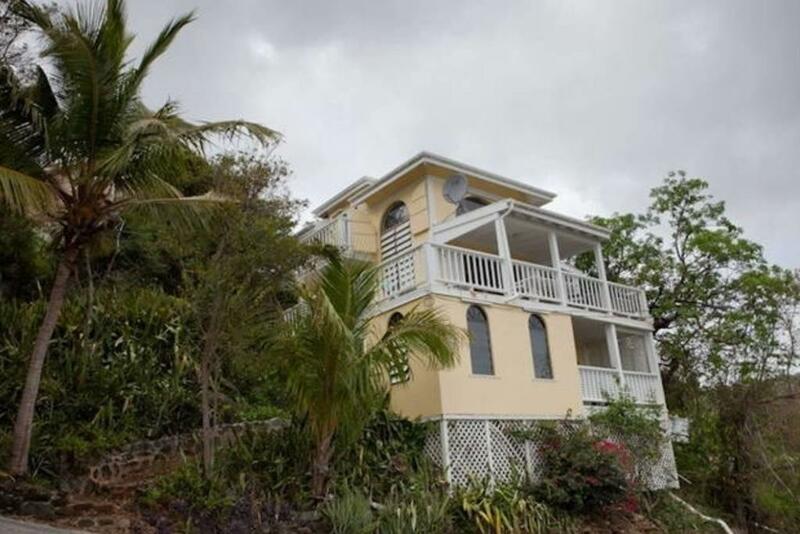 Private hillside villa with views of Fish Bay and South Shore. 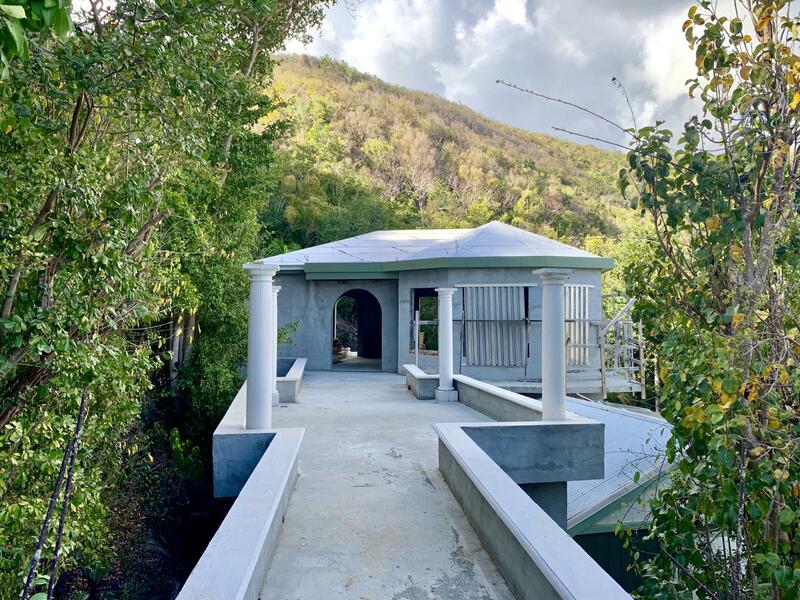 Nestled among the native forest, this cozy villa has all the privacy and quiet you will need to get away from the more busy parts of St John. 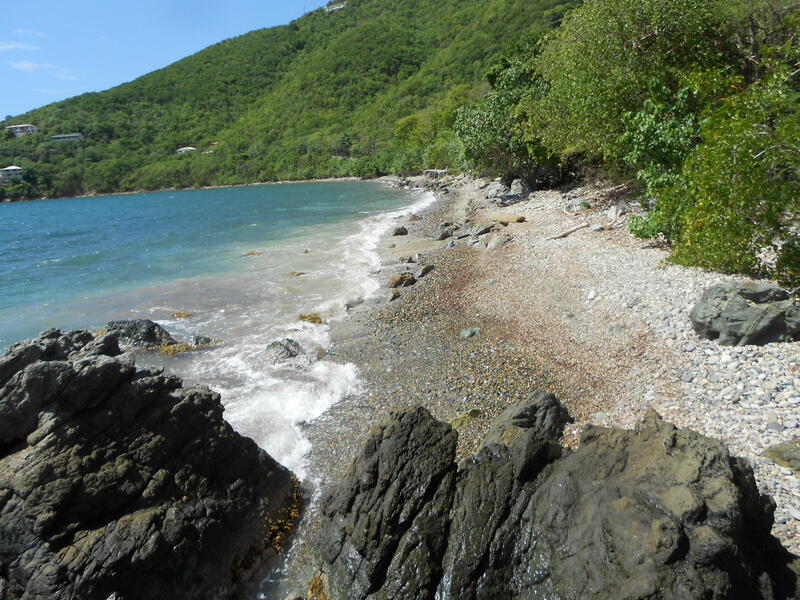 Walking distance to very private Reef Bay and borders National Park lands. All this privacy but still only 10 minutes to Cruz bay. 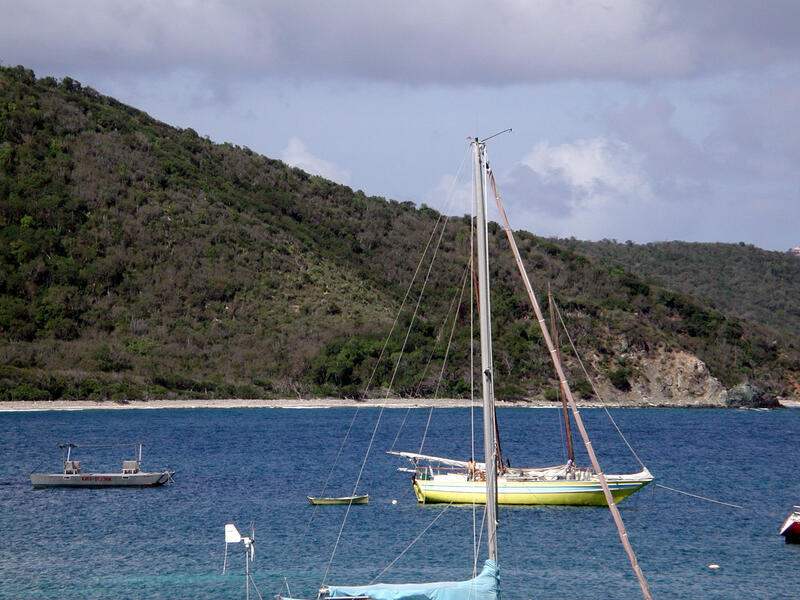 Walk down your private pathway to access your boat moored in the bay beyond. This lovely tree studded waterfront property is a boater's dream. Slab, cistern and driveway in place for a jump start on construction. Sold as is, with all faults and defects. 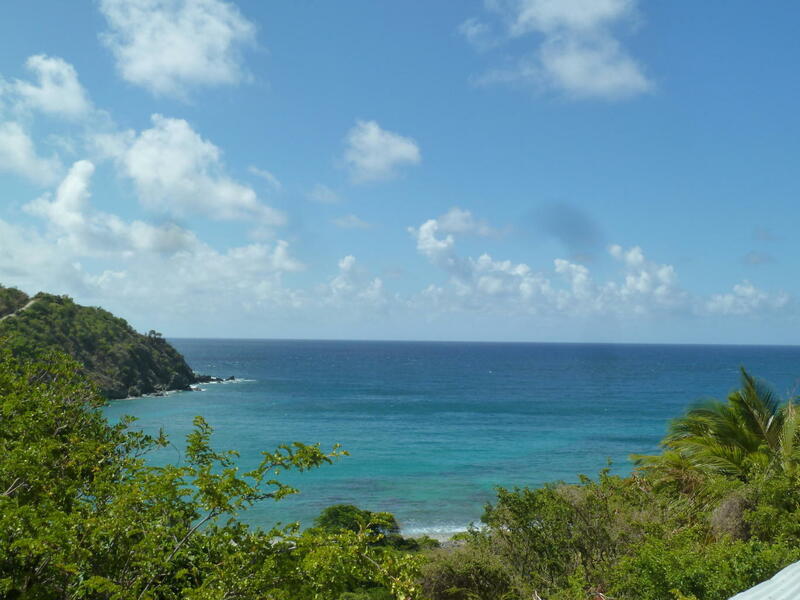 Large land parcel located in the private subdivision of Privateer Bay Estates with fantastic unobstructed views over Privateer Bay and the Caribbean Sea plus deeded access to two beaches. 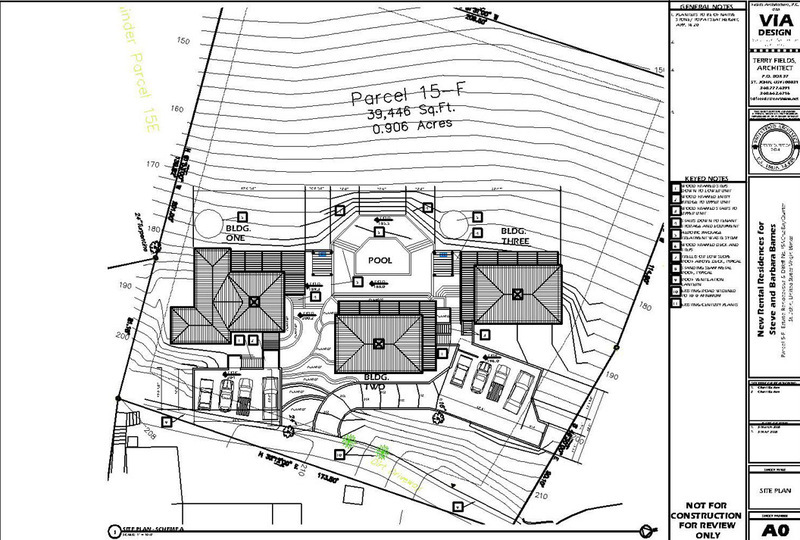 The oversized parcel is 3.21 acres and has the possibility to be subdivided into three separate lots. Sell two and keep one for yourself! Paved roads and underground utilities are in place. Waterfront parcel with beautiful sunrise / moonrise views and prevailing breezes. 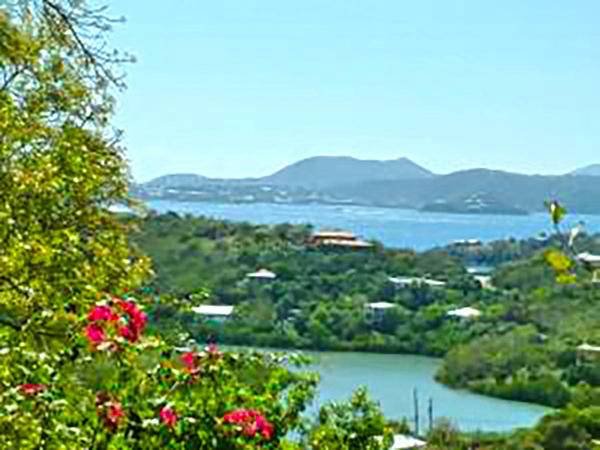 Great upscale small neighborhood perfect to watch all the Great Cruz Bay harbor and yacht activity. Shared paved easement with under ground utilities. Last parcel and the end of the subdivision. A great opportunity for development or building the home of your dreams. 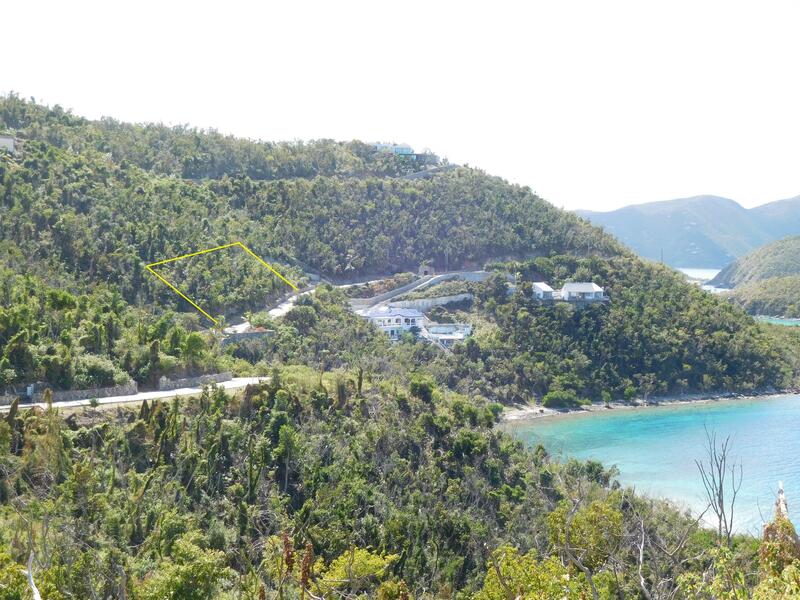 This acre lot is located walking distance to down Cruz Bay where our quaint shops and restaurants are located. 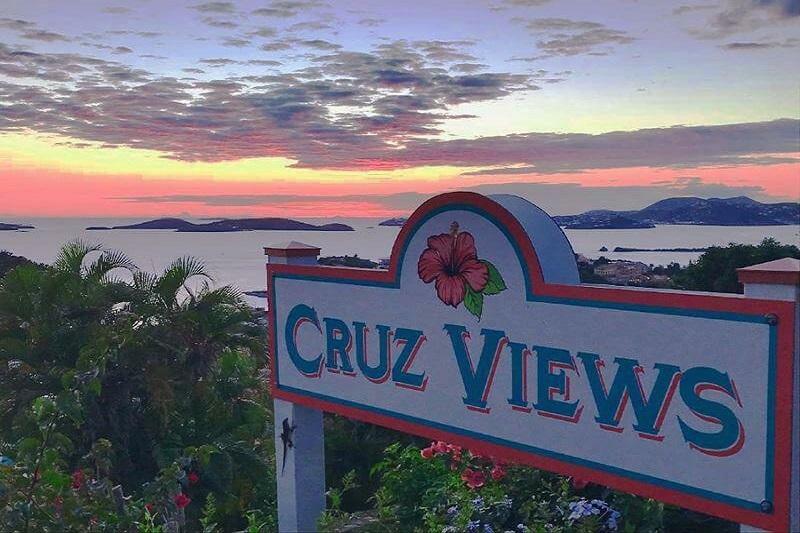 The view speaks for itself at Cruz Views! 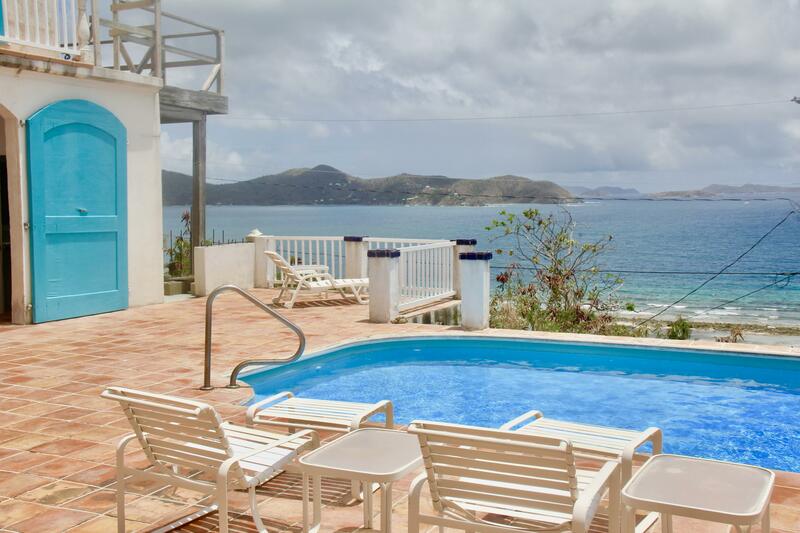 Soak up the Caribbean sunshine from the large pool deck just outside your door or take in the unobstructed sunset as you gaze across the Pillsbury sound towards the lights of St. Thomas. This large, corner unit is tastefully finished and features mahogany cabinets, lots of new updates to appliances and furnishings and newly remodeled bathroom. 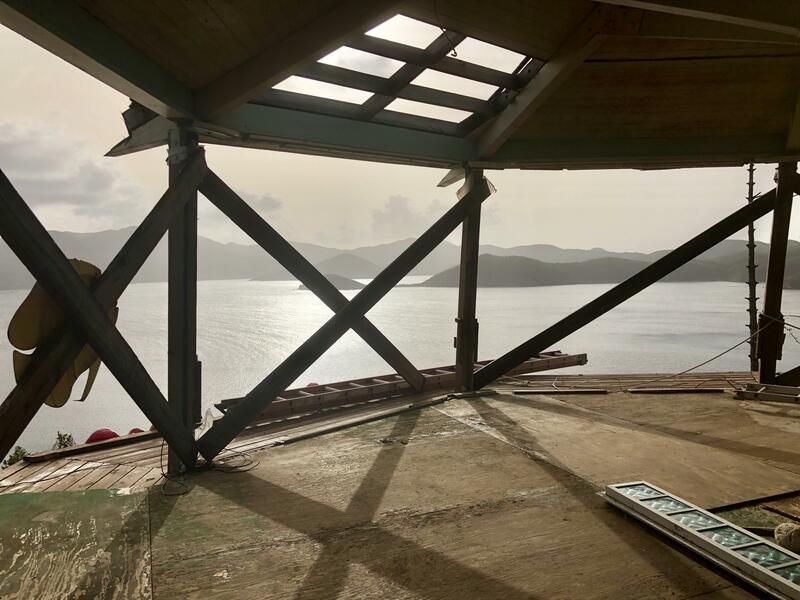 Ready to build your dream vacation villa with an amazing view? 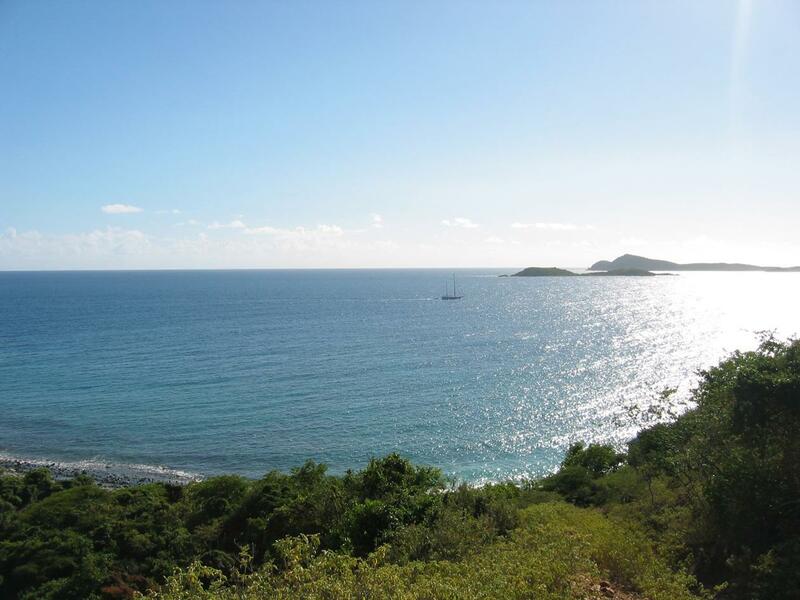 This property offers terrific views over Long Bay, west to Rams Head and south to St. Croix. Hurricane damaged cottage is on lower section of lot with a level site for a main house above. End of road privacy with easy access and a nice driveway already cut. A perfect location for this large lot in a small 5 parcel sub division. 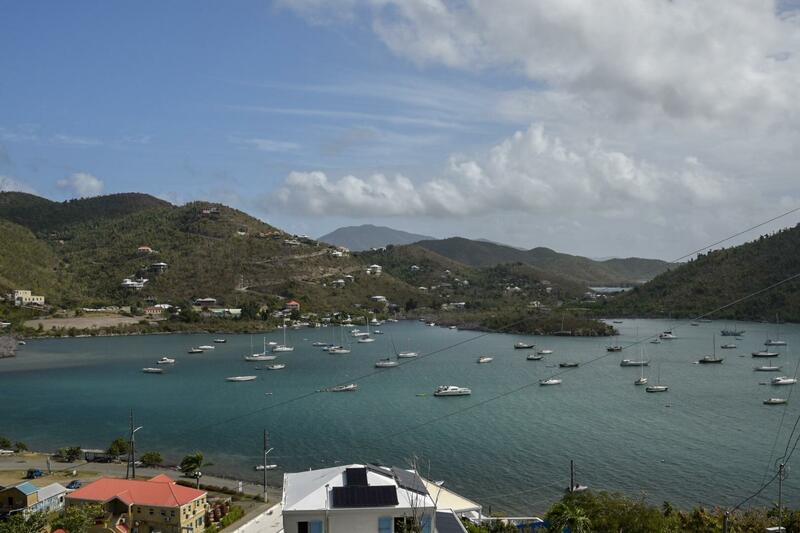 Terrific water views towards the east over the boats anchored in Great Cruz Bay as well as south over the Caribbean Sea. 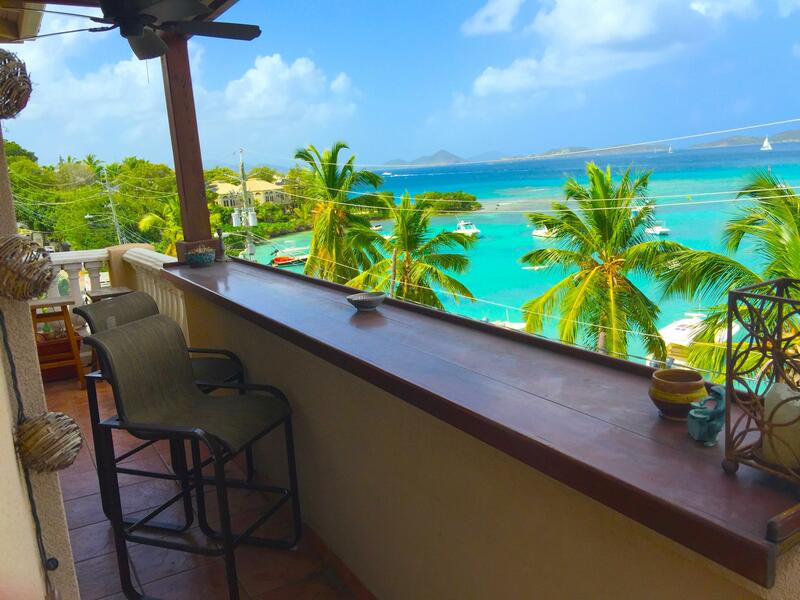 Just 5 minutes to the amenities of Cruz Bay. Faces east to catch the breezes. Some seller financing possible. Location, location, location...200 feet of waterfront shoreline! This waterfront site has the best of both worlds elevation to capture breezes, views and direct waterfront which can be accessed by stairs. Two side-by-side waterfront lots with paved driveway entry, easy access to off the main road. 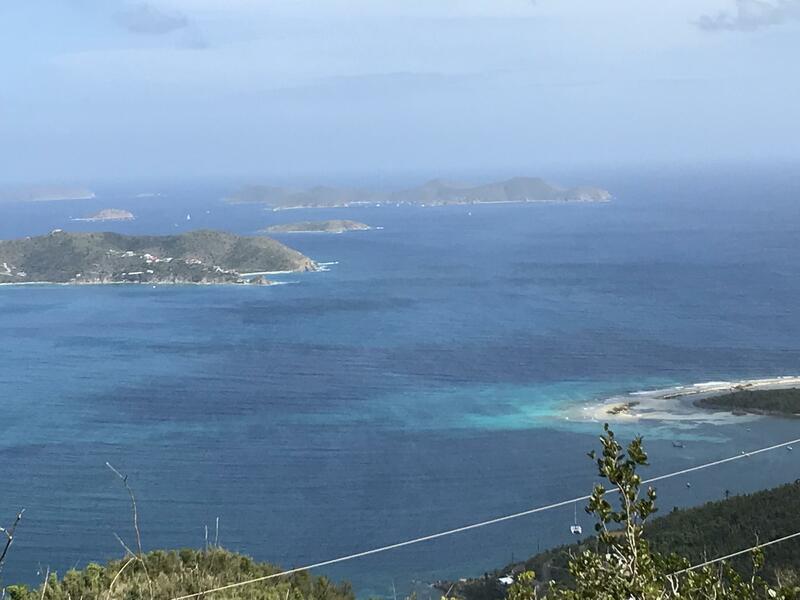 Large East End parcel within upscale Dreeket's Bay subdivision with fabulous views down the channel between St. John and Tortola past Jost van Dyke. Estate size 1.1 ac. parcel is a short walk from the common beach parcel. 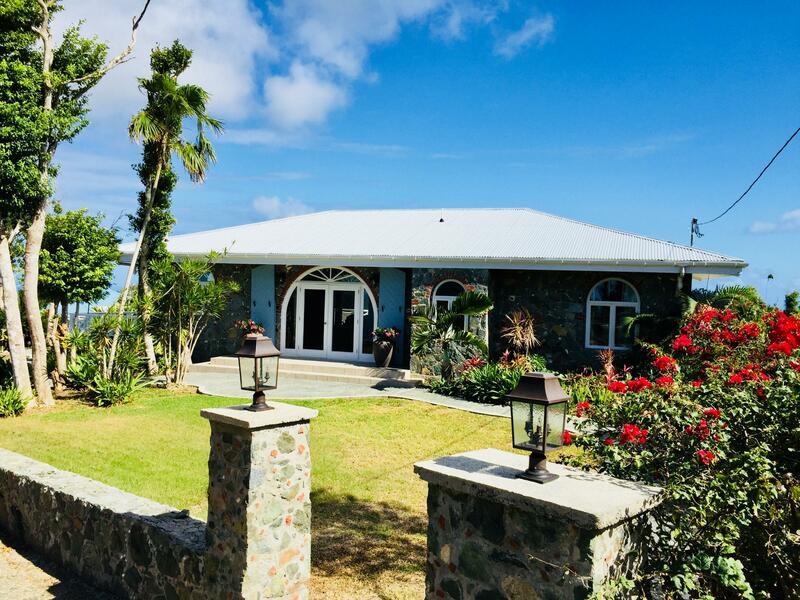 Quiet, pristine part of St. John just 6 minutes from Coral Bay has beautiful, wide paved roads bordered with lovely island stone planters and all utilities are underground. This is a beautiful large lot with Fantastic Views in Dreekets Bay Estate, close to newly built La Pura Vida Villa. Amenities include common beach access, underground utilities and paved roadways bordered by native stone walls. Comfortable breezes and moderate slopes, road access from both sides of the lot makes this Parcel a perfect building site. Buyer and Seller shall equally split Stamp Tax. Imagine hearing the sound of the ocean and feeling the natural breeze flowing through the doors and windows of your newly built home. Well, this beautiful buildable waterfront lot can offer all of that and more with an easy paved assess road. 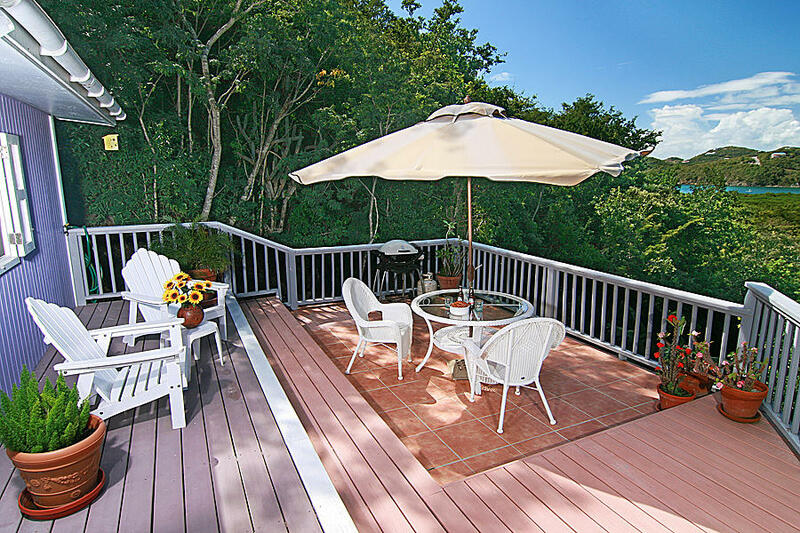 This property is comprised of three long term rental units on three levels. The upper one bedroom, 1.5 bath unit has approximately 670 s.f interior space and 550 s.f. wrap around deck. The middle one bedroom, 1 bath unit has approximately 480 s.f. interior space and 120 s.f. deck. The lower level studio apt has approximately 315 s.f. of interior living space and 240 s.f. of screened in deck. 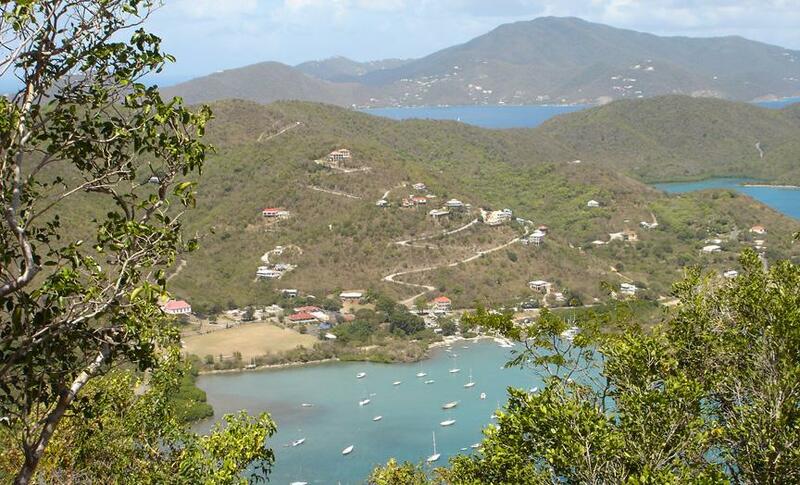 Beautiful Waterfront lot featuring unobstructed panoramic views of the BVI and Friis Bay. Enjoy the sounds of the surf and cool tradewinds. Direct access to sandy beach. Snorkel from your secluded 130' shoreline behind the barrier reef just off shore. House plans available. 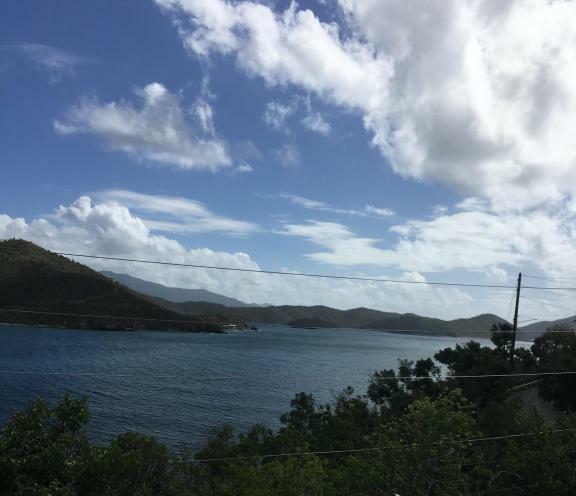 This 1.8 acre lot in Estate Carolina has fabulous views of Drake's Passage over Hurricane Hole to Tortola, Virgin Gorda, Fallen Jerusalem, Salt & Cooper Islands. A very private location with great breezes. Large lot with development potential. Can be subdivided into six parcels or perfect for a family compound. 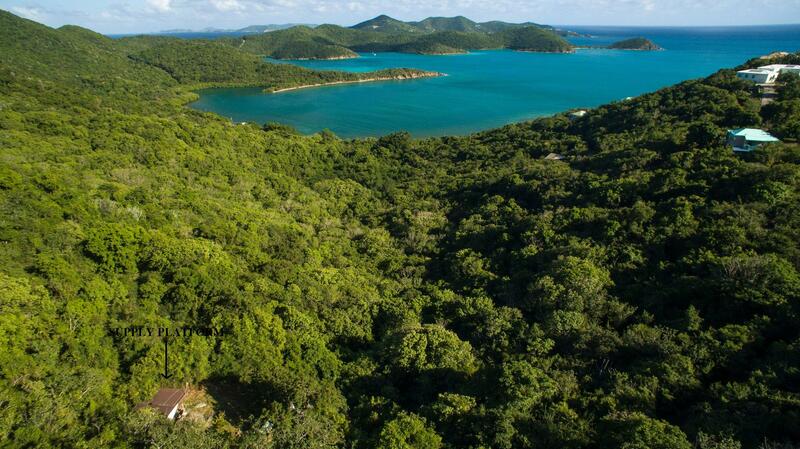 Stunning views of the Sir Frances Drake channel, Tortolla, Jost Van Dyke and beyond from this spacious .762 acre parcel located in prestigious Dreeket's Bay estates subdivision on the East End of St.
What an amazing opportunity to own your piece of paradise with an easy 2 minute walk to the secluded Popilleau Bay beach. 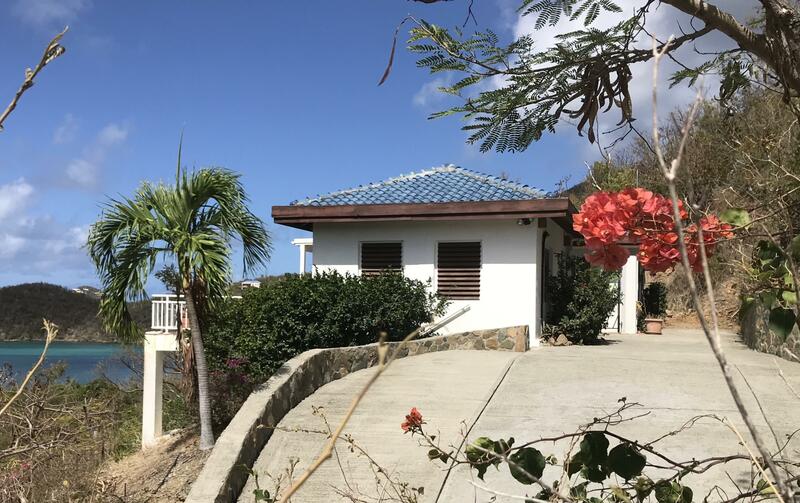 This virtually new West Indian-style spec home in Coral Bay was recently extensively remodeled. Enjoy the ambiance and quiet location of this turnkey 3 bedroom, 2 bath home. SELENE'S 3 WEST is the premier unit in the complex. Featuring panoramic views of Cruz Bay, Pillsbury Sound and St. Thomas as well as colorful sunsets and the lights of St. Thomas at night. Custom cabinetry, new appliances including refrigerator and stack washer/ dryer, brand new split air conditioner, walk-in closet, and tasteful furnishings are a few of the amenities. Four subdivided parcels in a wooded quiet area with large trees and fertile soil perfect forgardening. 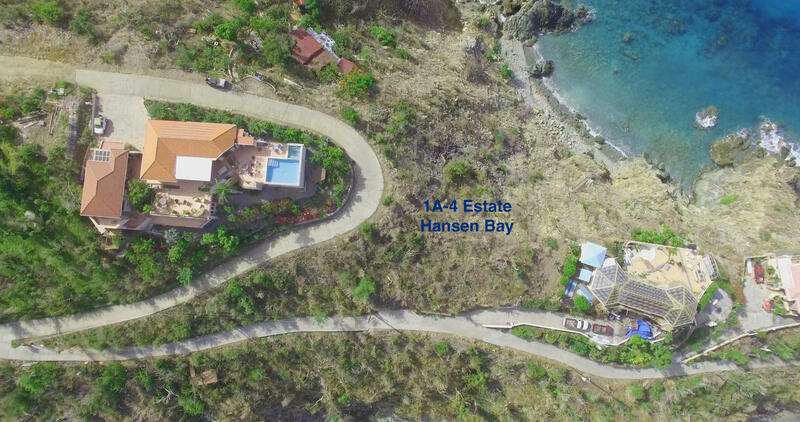 Easy road access, close to Gifft Hill School and Cruz Bay. Waterfront - Large lot situated directly on a pocket beach at Privateer Bay and facing east to the common beach of Privateer Bay Estates. 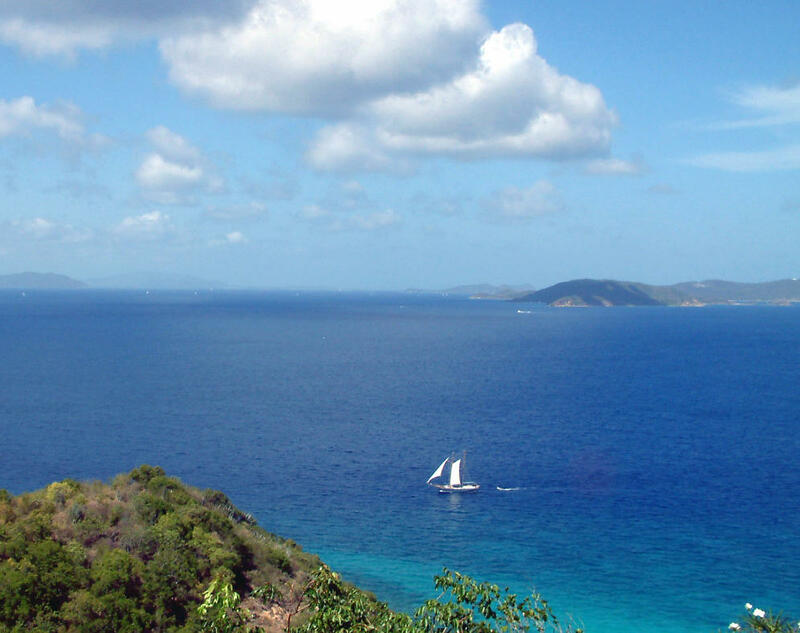 Views overlook the BVI and pristine Privateer Bay. Deeded access to two beaches and related facilities. Paved roadways and underground utilities. View faces east to catch the cooling trade winds, sunrises and moon rises. Lot borders a green belt. Least expensive oceanview parcel in Ditleff Point. Level building site. Sunrise AND Sunset views with cooling Eastern breezes. Gated entry, underground utilities, paved roadway w/stately stone walls and common sandy beach at Ditleff Point. Buyer and Seller to equally split Tax Stamp. See document tab for building envelope plan and survey map. Lovely fully renovated penthouse condo situated in the heart of Cruz Bay Town just minutes walk from shops, restaurants and beaches. Recently re-furbished interior; light, bright and cheery with tasteful furnishings. 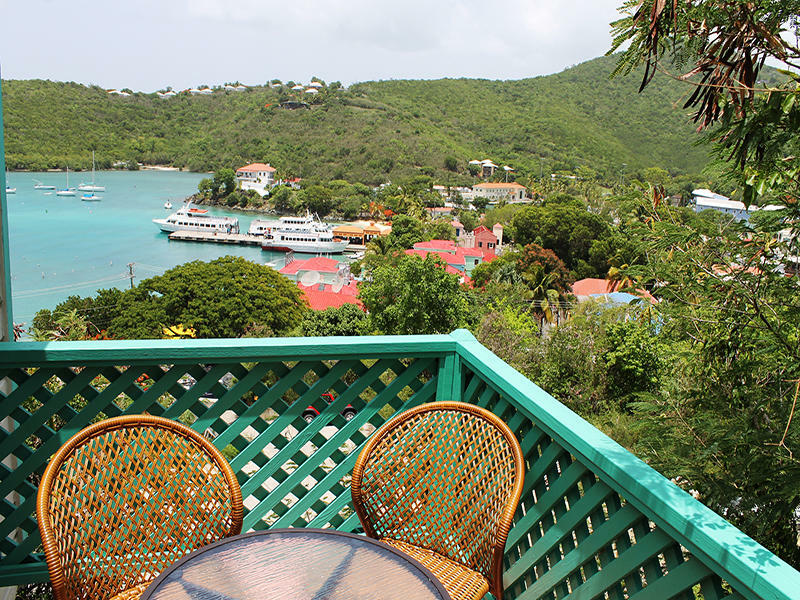 Enjoy westward sunset views of Cruz Bay harbor and beyond to St Thomas from your private porch. 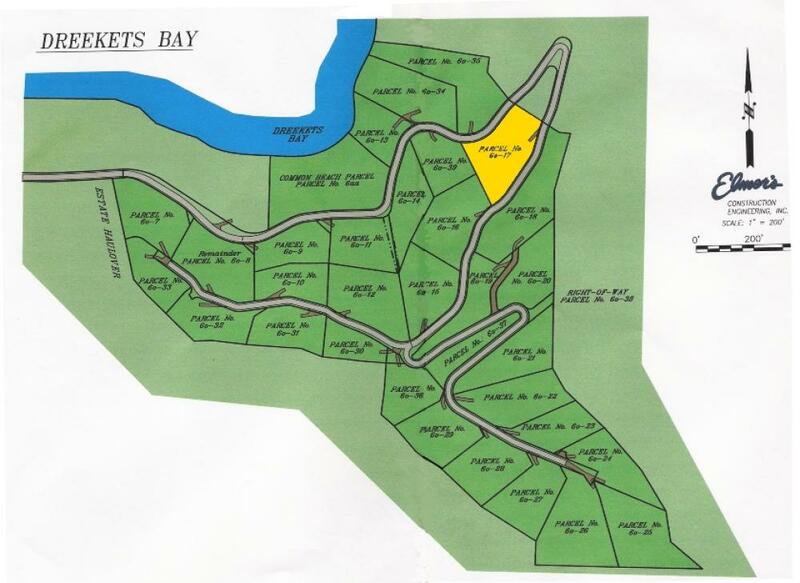 Cruz Bay town lot in the heart of town with the feeling of the country. 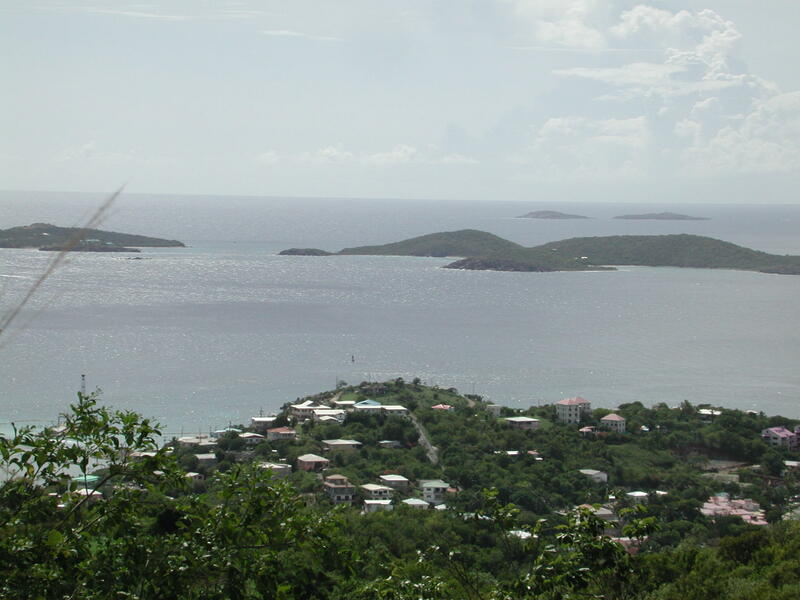 Panoramic views of St. Thomas and Cruz Bay. Perfect sunset view property. Cistern and septic in place. SELENE'S 2 WEST is the prime second floor location in the complex. Featuring panoramic views of Cruz Bay, Pillsbury Sound and St. Thomas as well as colorful sunsets and the lights of St. Thomas at night. Charming kitchen, open floor plan, walk-in closet, fully furnished, stack washer/dryer, and brand new split air conditioner are some of the special features. SELLER NEEDS TO SELL! MAKE AN OFFER! 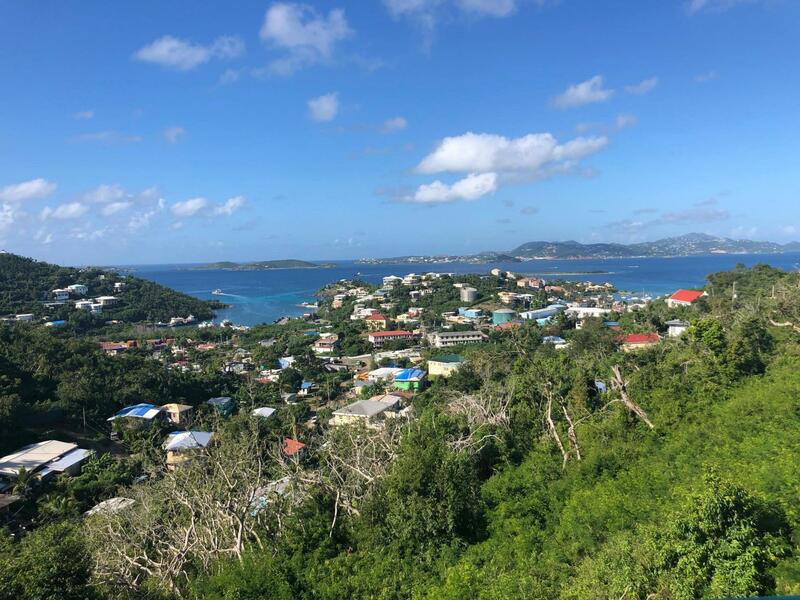 !Easy building site with incredible, breathtaking views SUNRISE to SUNSET of St. Thomas, Hart Bay, Chocolate Hole and St. Croix on the horizon from this ridge top lot. Close enough to the ocean to hear the sound of the waves and walking distance to the beach at Hart Bay. 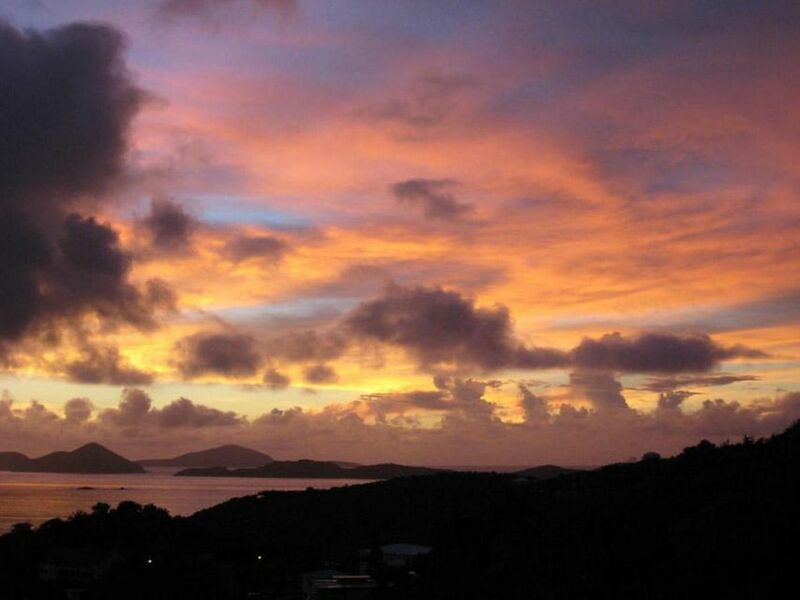 Enjoy spectacular sunsets and the lights of St. Thomas in the evening. Don't miss out on the amazing views from this unique oversized lushly wooded parcel located high atop Ajax Peak. Offering cooling trade breezes and sweeping views over Coral Harbor, the Caribbean Sea and Bordeaux Mountain. The parcel will accommodate a large main home and a dwelling for caretaker. 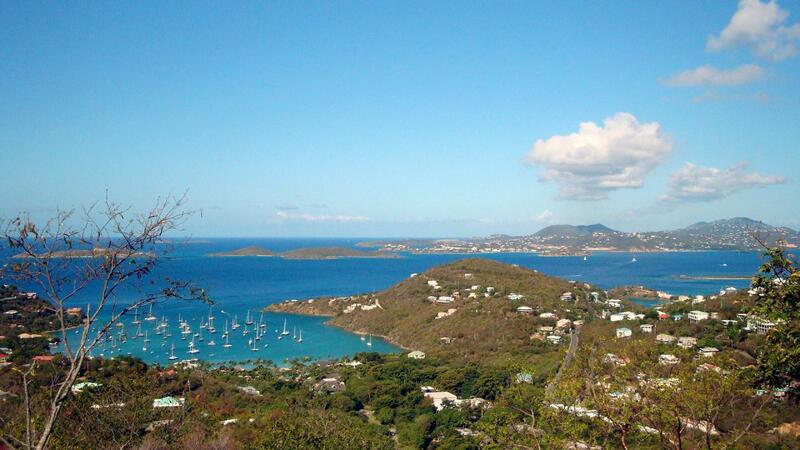 Sweeping views over Pillsbury Sound to St. Thomas, and surrounding islands as well as stunning sunsets. Quiet neighborhood convenient to Cruz Bay. Downhill build, zoned R-2 with the possibility of subdividing into 2 parcels. Group Dwelling permit for 6 apartments and a driveway permit have been issued. 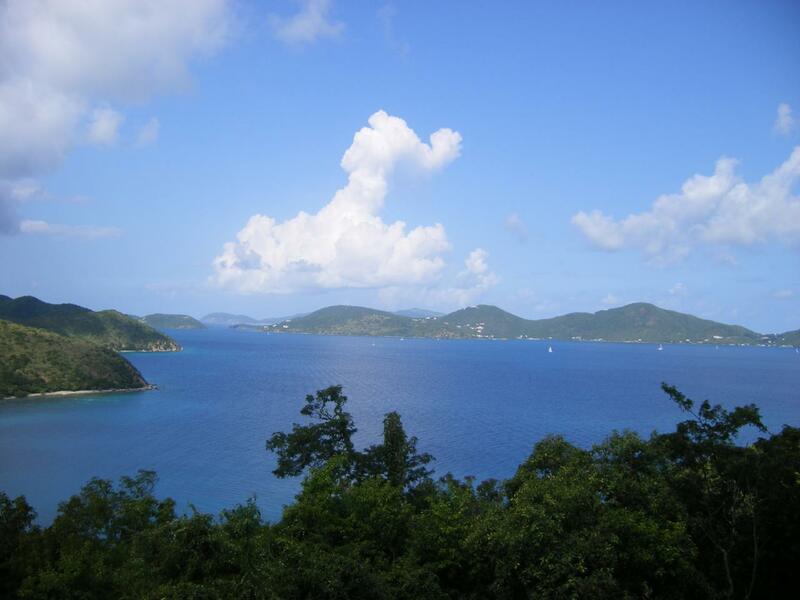 Sunset and water views to St Thomas from this large, gently sloping lot. A great parcel for developement or for a single family home with lots of privacy. Seller will pay 1/2 Stamp Tax. Seller is a licensed real estate broker. 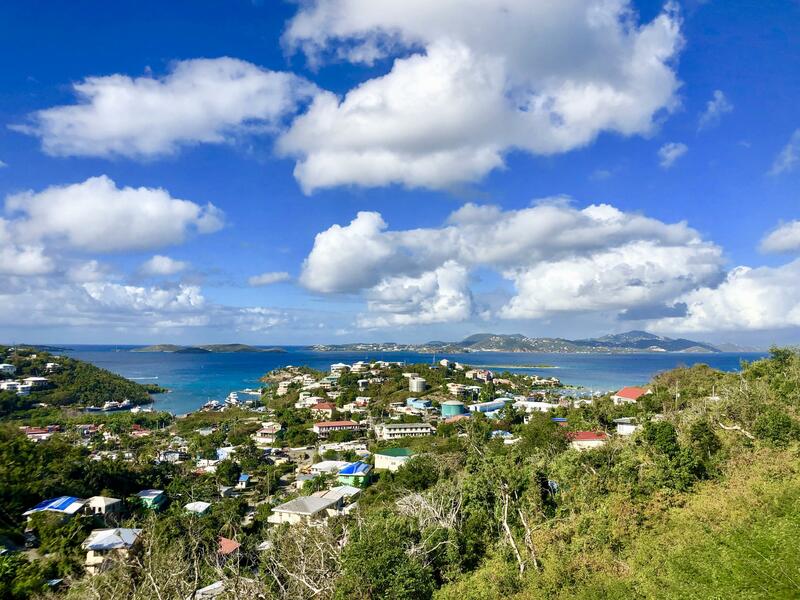 Ideal oversized building site off paved roads in an established neighborhood with underground utilities, access to multiple beaches and two community owned beachfront cottages. 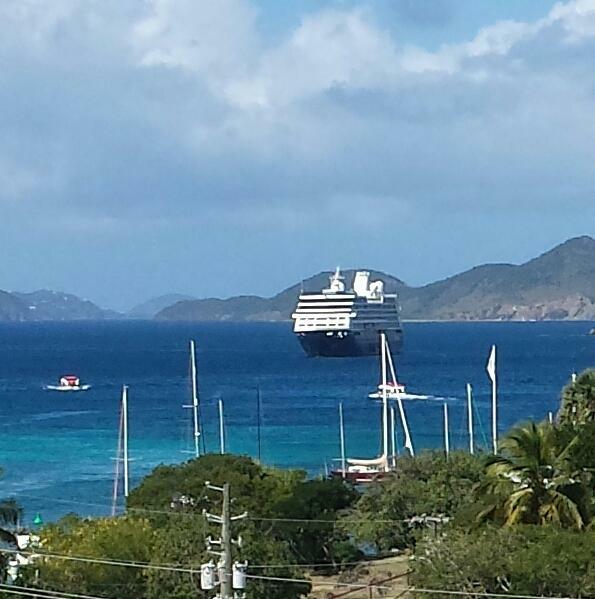 Gentle topography and panoramic views down the length of the Sir Francis Drake Channel to Virgin Gorda. Adjacent property also available from same owner. Economy of scale would apply to a potential purchase of both parcels. Outstanding building site in very private location at the end of a cul-de-sac in the upscale gated subdivision of Virgin Grand Estates. 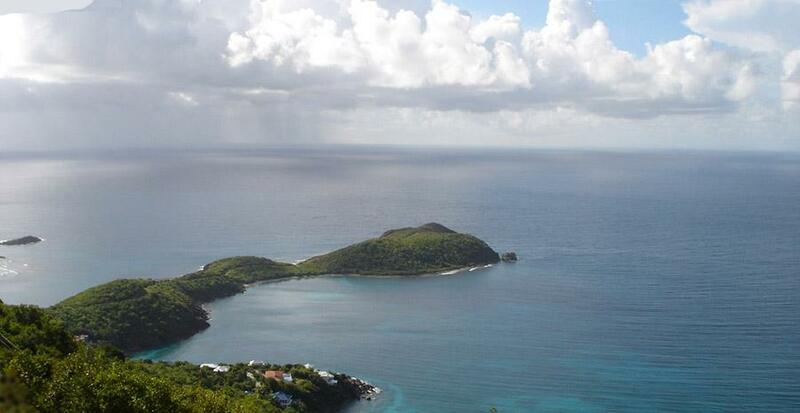 This lot offers a sweeping panorama of St John's South shore bays extending to St Thomas and the offshore cays. Coral Dream is a hurricane damaged property needing the right person to bring it back to it's former state. 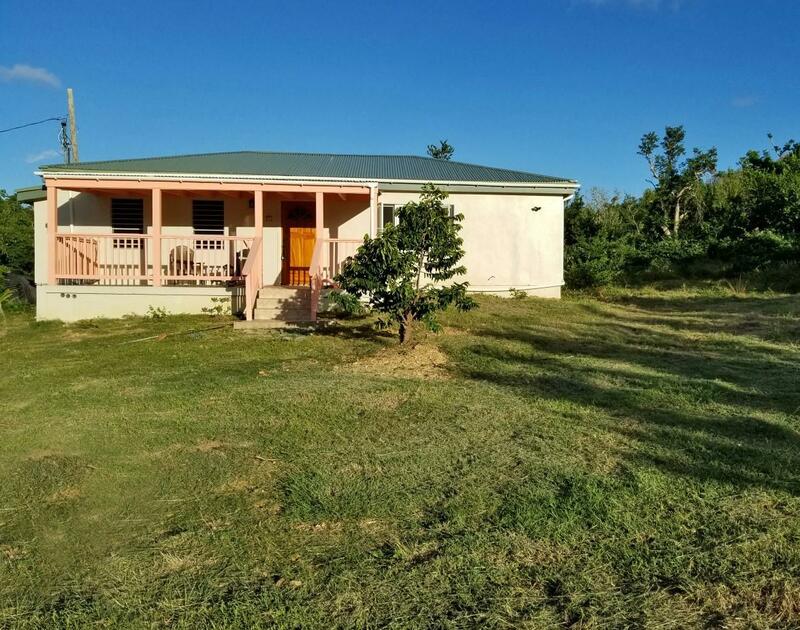 Once a successful rental, close to Coral Bay, restaurants and grocery stores this property has a lot of potential. The downstairs bedroom bathroom needs cleaning, and fixing up and a window but could be livable in a short time while you finish the rest of the house. 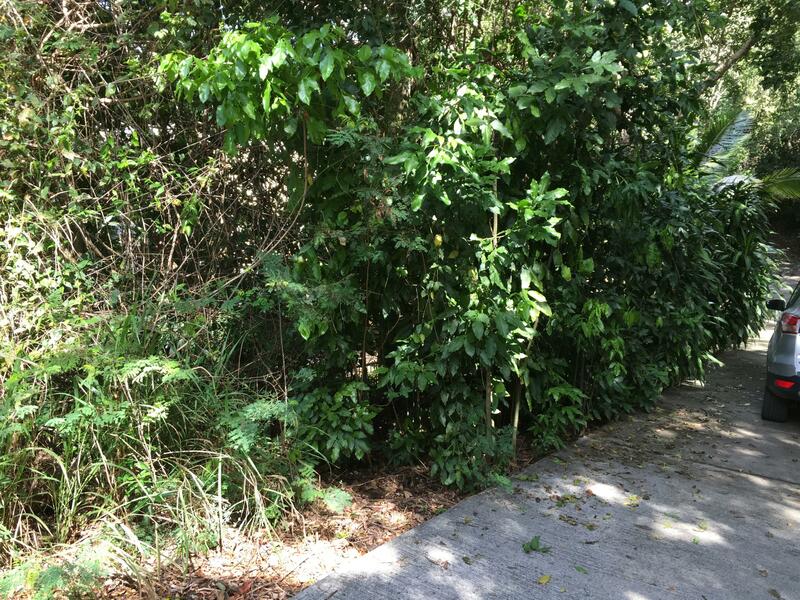 Bordeaux Heights Subdivision, Deeded Beach access, adjacent to the National Park and greenbelts. 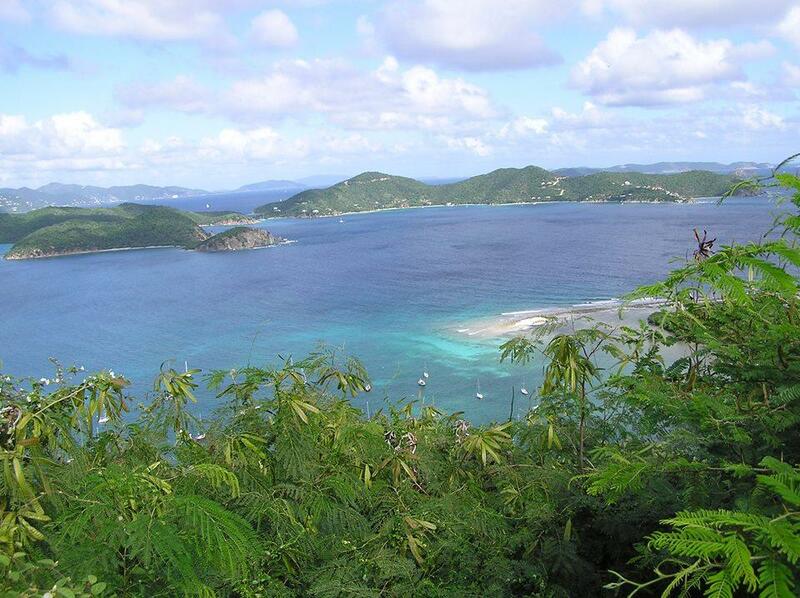 280 degree views of the south shore, BVI and Down Island is on a basically level ridge top which is superb. OFF THE BEATEN PATH! You've hike it and now you can own a piece! Right off the Johnny Horn Trail and truly a special area of St. John. 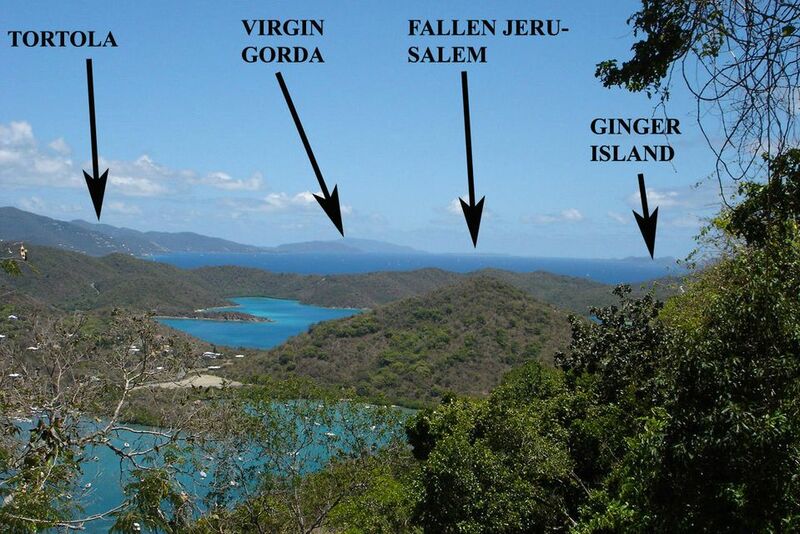 Experience the adventure of the way St. John used to be - 4 wheel drive only! 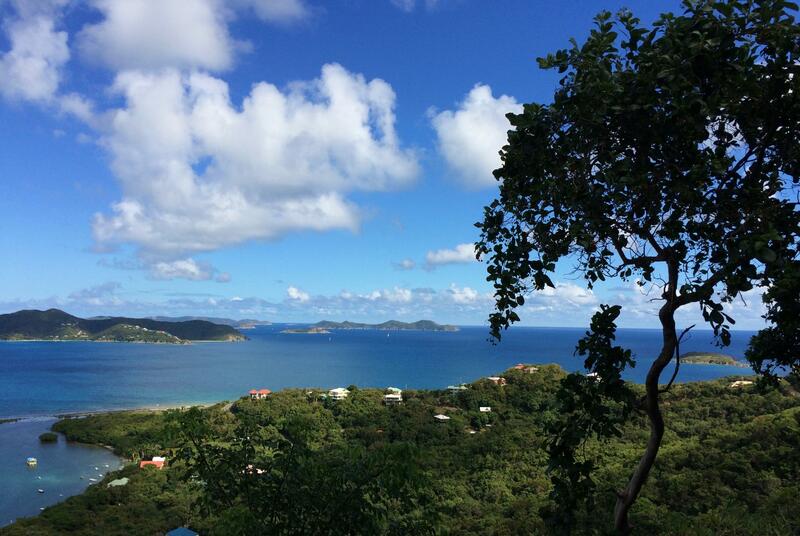 This 0.99 acre parcel has stunning panoramic views of Hurricane hole, East end of STJ, BVI chain and beyond with cooling trade wind breezes. 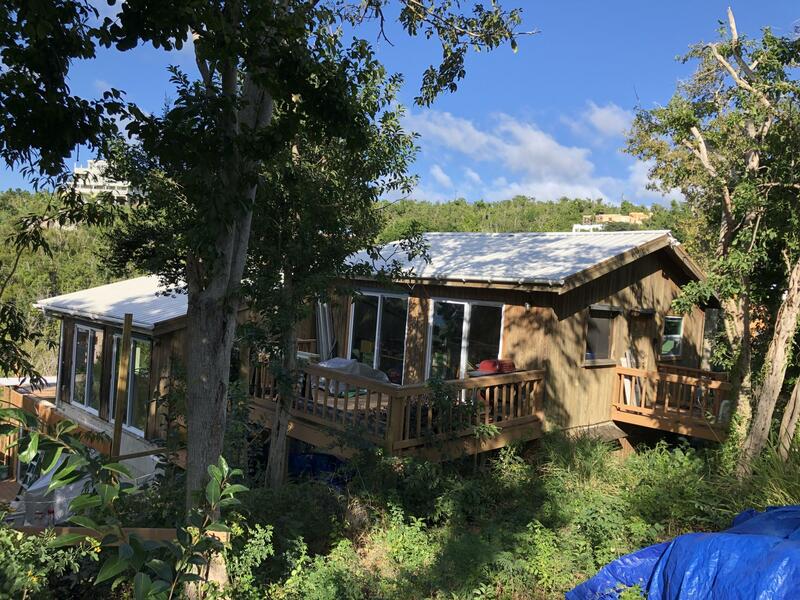 Motivated Seller- Make Offer!Love Nest is a cozy 1 bedroom 1 bath cottage overlooking Coral Bay, Hurricane Hole and beyond to the BVI. Gated entrance with driveway shared with only one other parcel. Room for expansion. Property being sold as is where is. Buyer and Seller to split stamp tax. Tenant requires 60 days notice to vacate. Situated at the base of Coral Circle, this moderately sloped parcel offers both uphill and downhill access. 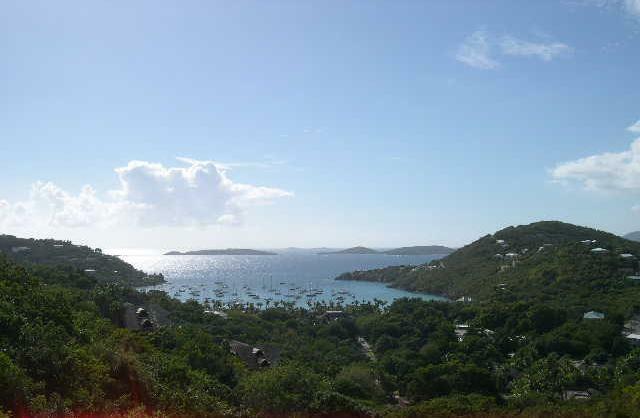 Prime views of Great Cruz Bay in gated community offering paved roads and underground utilities. Owner financing possible. Buyer and Seller to split stamp tax. Homeowner's association initiation fee is $1,000. Rare over-sized oceanfront parcel on St. John's quiet East End with over 200 feet of usable beachfront. 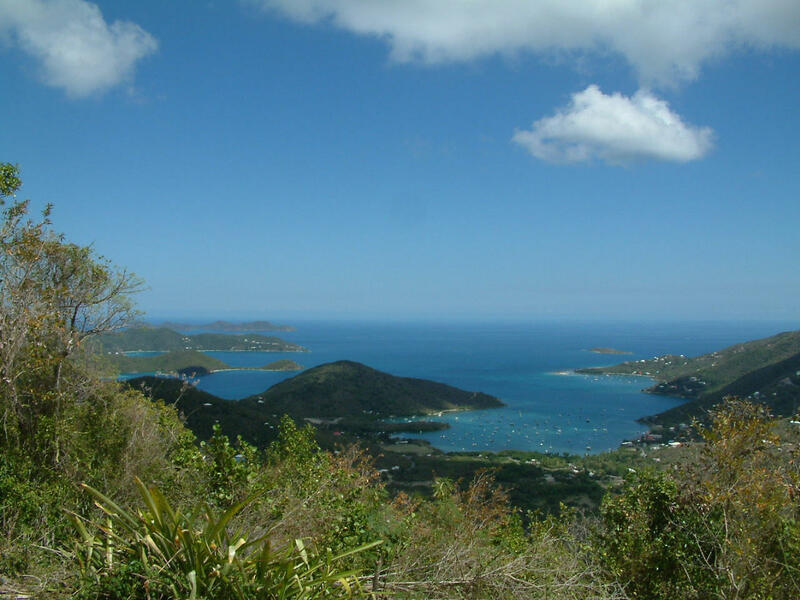 This site offers spectacular views overlooking Pond Bay to Flanagan's Passage and beyond across the Caribbean Sea. Enjoy the easterly trade breezes and the peaceful serenity of this private, secluded nearly 2 acre lot. PRICE REDUCED! Ever thought of building your island dream home? With great ocean views, easy access and year round cooling tradewinds? Here's your opportunity!! Scenic 3/4 acre lot with paved access from both the shared driveway and public Rt. 107. 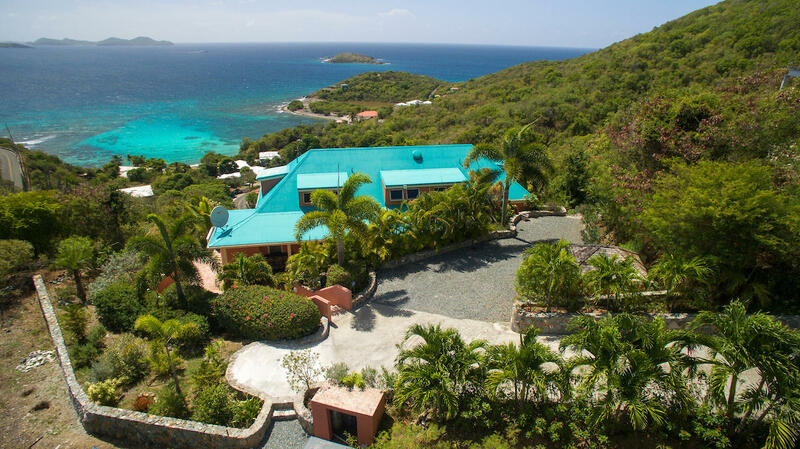 Constant cooling SE tradewinds and great water views across Saunders Bay & Coral Bay to St. John's east end and the BVI's. Fantastic Views from High on Bordeaux Mountain. The Cistern has been poured and the driveway has been cut in. 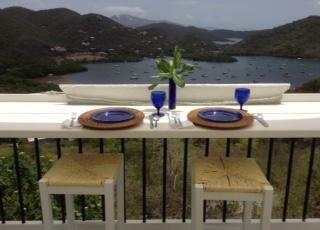 Ready for you to complete your St John Dream Home. Paved access via Bordeaux Mountain Road from both Centerline Road or up from Coral Bay. Path to Building area has been cleared along with access around the poured Cistern. NOTE: Please use Extreme Caution, this is a dormant building site. 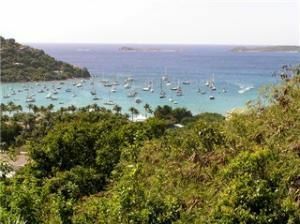 Flat to gently sloping estate sized lot with 270 degree views from St Croix across the British Virgin Islands chain to Tortola. Cleared for easy viewing, this site is amazing. Sellers are licensed VI Brokers. 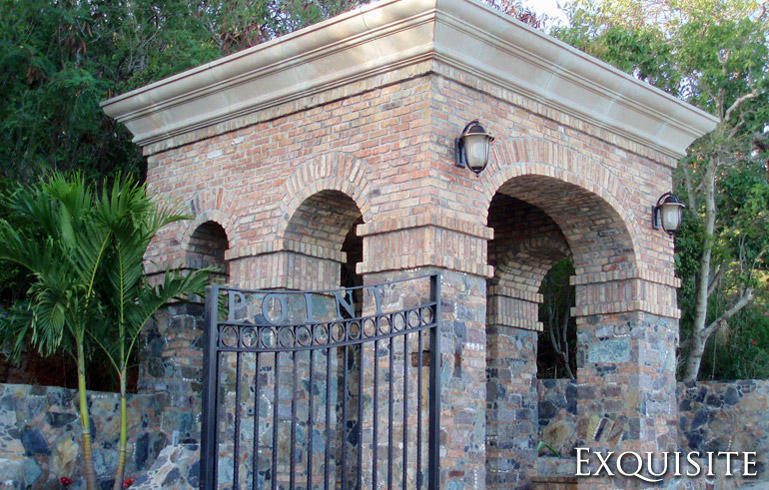 Lovely level building site located in the quiet, upscale subdivision of Privateer Bay Estates. 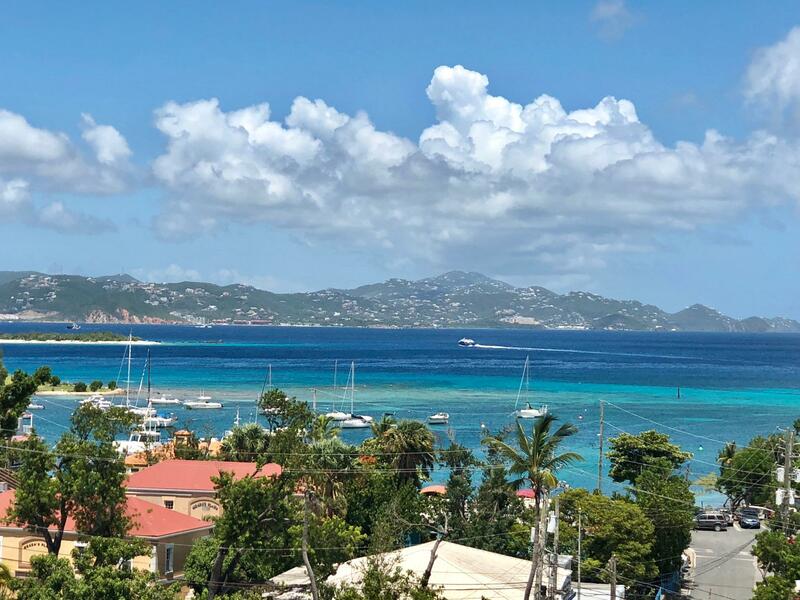 East facing location with cooling trade breezes and sweeping panoramic views of the British Virgin Island chain down Sir Frances Drake Channel. Deeded access to two beaches with access to two charming beach cottages available exclusively to owners, paved roadways and underground utilities. One of three lots in subdivision in historic Fortsberg just steps from the beach and the battery. 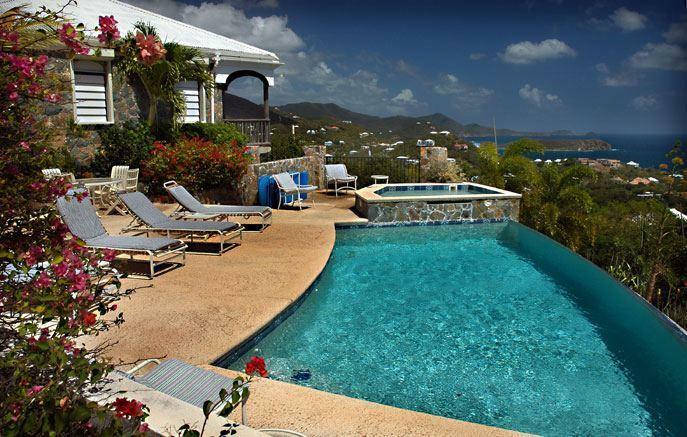 Views include Coral Bay Harbor and the BVI. Owner/Broker * Tax bill reflects the southern portion of 16 reminder tax TBD buyers and sellers to split the stamp tax. 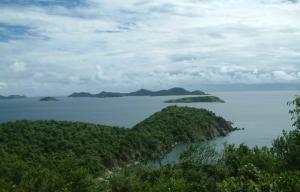 Fabulous views of Drake's Passage over Hurricane Hole to Tortola,Virgin Gorda, Fallen Jerusalem, Salt & Cooper Islands. Underground utilities in place, very private location with good breezes. Lower Bordeaux road is paved most of the way so access is good. 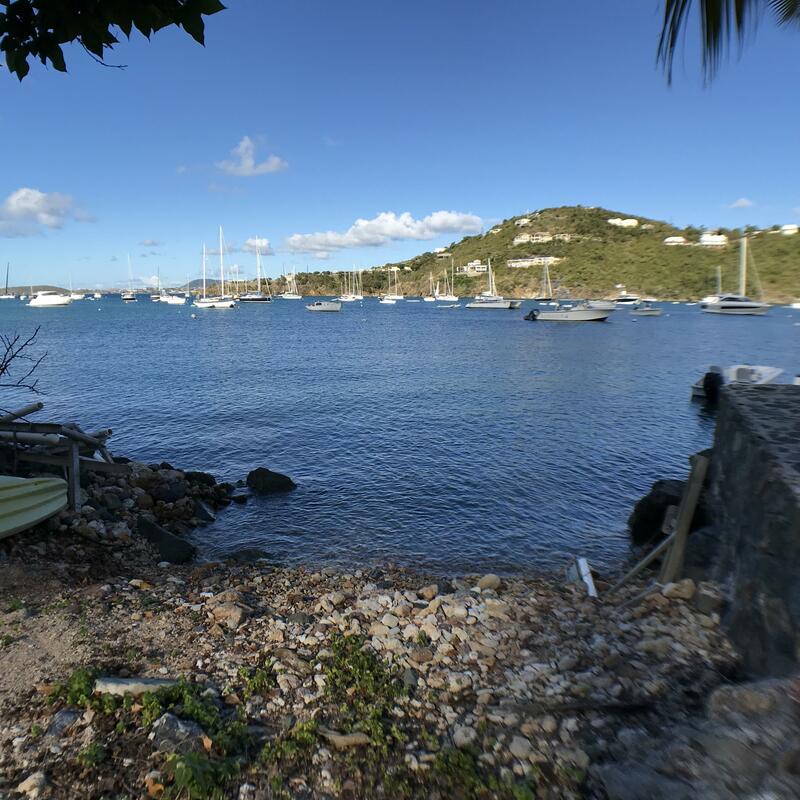 1-U-2 REM & 1-U-2-C BETHANY - Adjoining building lots at Estate Bethany with water views over Great Cruz Bay to St. Croix. Combined they make a half acre. Price includes architect's plans for a 4 bedroom house. Paved road, good breezes, interesting rock formations and near town. December sunsets. Seller will pay 1/2 Stamp Tax. 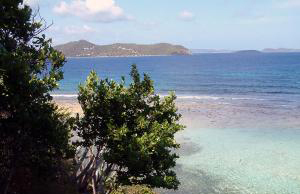 This lot has it all - Sunrise, sunset, breezes and fabulous Caribbean water views over Rendezvous Bay and south to St. Croix and Ram Head. Easy downhill build, very quiet neighborhood yet close to Cruz Bay. Recently reduced from $560,000 to just $399,000. A steal of a deal. 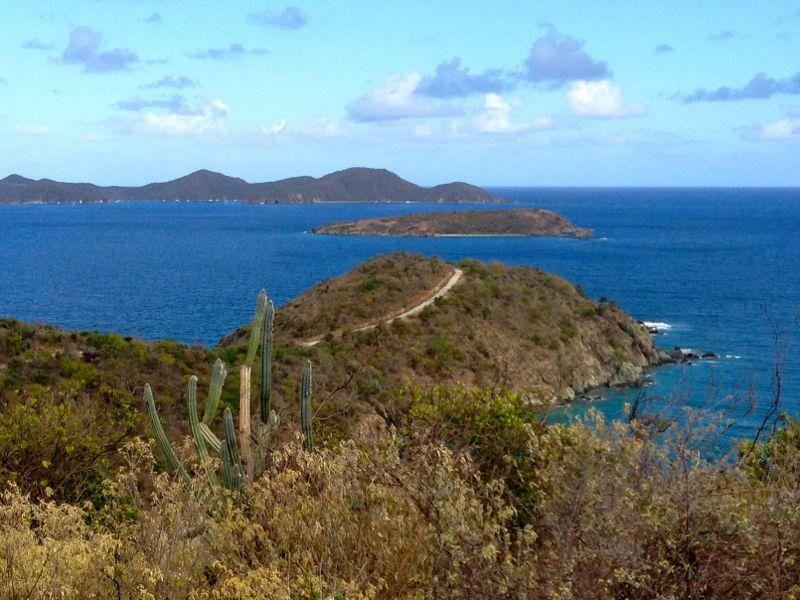 Buying Real Estate on St. John Island can be your dream come true! 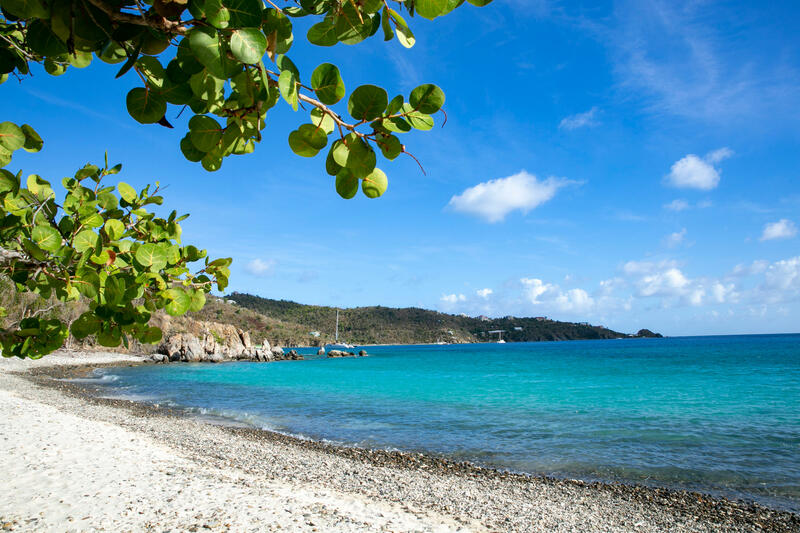 Realize your dream of owning your piece of paradise on St. John Island in a home, condo, land or other properties – we welcome helping you discover your island dream property. We’ve been helping clients like you discover just how easy it is to own a little piece of St John paradise for over 25 years. We are experts in St. John Real Estate, Development and Management – we welcome sharing our expertise on buying on St. John to help you. Value exists in all price ranges. 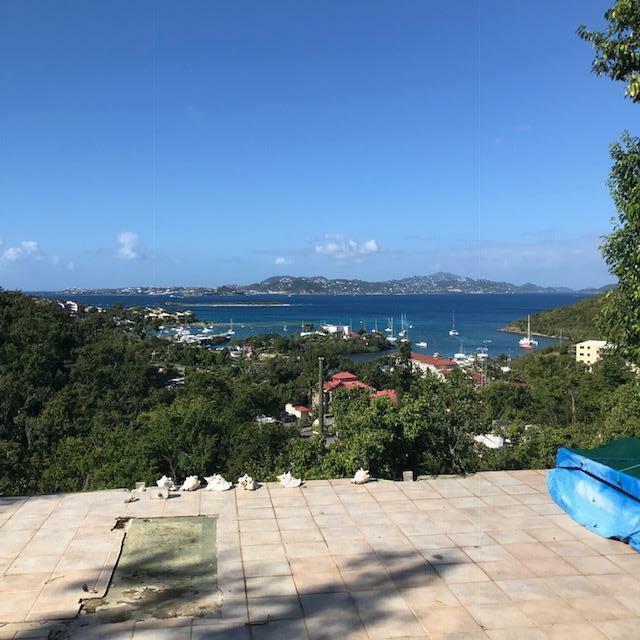 Let us tell you why Tropical Properties is your best choice for St. John Real Estate, read a bit about us and read our thoughts on real estate on St. John.